The first photo shoot for Otter Creek Brewing – Copper Ale. 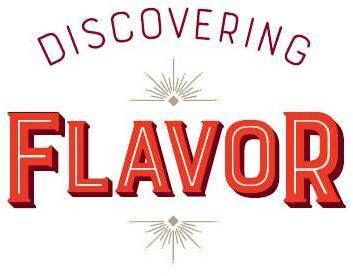 When I was doing research to write Discovering Flavor, Lawrence and I talked about Americans’ changing tastes in beer as an example of how our idea about what is “normal” in food can shift dramatically over a short period of time. Lawrence founded Otter Creek Brewing company back in 1990 when it took a lot of work to convince folks to try something deviating from the Budweiser, Coors type of flavor profile. He sold the brewery in 2002. By that time, craft brewing had already become A Thing and now flavors are zinging off all over the place. What was radical then has become conservative. In fact, today’s Otter Creek is retiring much of their original line for more amped up options (see for example the announcement here, Copper Ale is next on the chopping block, Stovepipe Porter was dropped a few years ago). In the most commercially popular beers. . . that was a time when Budweiser, Coors and Miller were pretty much dominant, it was their normal Bud, Miller, Coors product. The emergence of light beer was just happening. Miller produced the first light beer, and that definitely changed things, that was the biggest change from a volume perspective – from what was thin beer to really thin beer. At the same time that was happening a tiny sliver of the population was migrating to big beer, with high original gravity [which means] more sugars available at the end of producing wort. You’re either going to ferment those sugars out to a drier alcohol profile or they’ll be residual, unfermentable sugars. So you’re either going to have something with a little more alcohol delivered or more residual sweetness. In either case you drink it and think “whoa, this is a big beer.” There were some commercial brewers and some home brewers with these kinds of beer. But the real story by volume was that Americans were suddenly drinking a whole bunch of 3.2[% alcohol – i.e. light beer]. 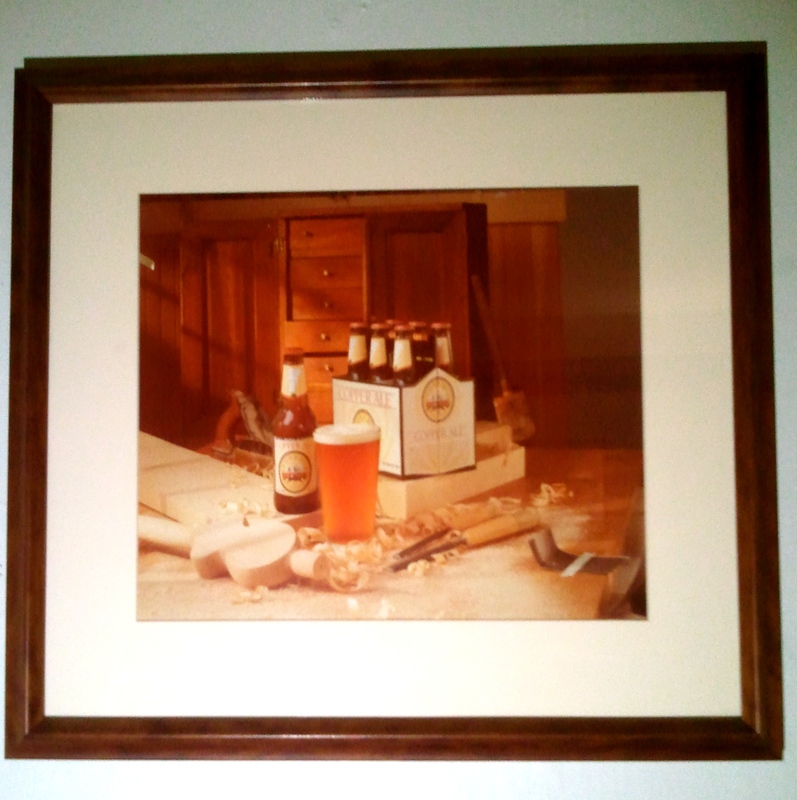 How did you choose the flavor of the first commercial beer you produced (Otter Creek Copper Ale, now retired)? I was solely interested in what I wanted and couldn’t find, it was a very selfish piece of work. I was lucky in that people wanted to buy what tasted good to me. [For example] bitter, burnt, balanced with complex sweetness, not candy sweetness but those roasted caramel notes. The second beer was Stovepipe Porter. Then I left it alone for a couple of years and then I thought I’d try smoking some malt, try something like the Rauch [smoked] beers I liked so much when I was in Baumberg, so I came up with Hickory Switch Smoked Amber Ale. Those beers were all out of home-brews that I had made for myself and my friends at the time. And they were the result of doing test brew after test brew after test brew changing one thing at a time, honing in on what interested me. Each of those were the beers I wanted to fill their purpose. They were filling a place that was missing, I wanted something and I couldn’t buy it, then I made it. I don’t like stout. . . but I wanted something sort of like a stout. I’d tried a porter, and I’d read about porters, so I made a porter and refined it. . . .But it wasn’t a traditional porter. No one in the Geek Squad could endorse my beers because they weren’t in the right profile. Fine. That’s what I like. Explain the difference in the Porter profiles? A porter was originally a cocktail beer [a mixture of drinks combined at the pub]. Then it became a beer in England, but I wasn’t even using an English brewing technique, so I was never going to duplicate traditional porters. It was basically taxonomically impossible for me to do, to duplicate. [My beer] fit within the major technical requirements around original gravity, terminal gravity, and bitterness, but there was nothing particularly authentic about it. I said it was a porter and so it was. How did you develop a sense of the flavors you wanted? How did you know what was missing? I started with different beers, different home brews, different regional beers [including from Europe], so I headed off from a definite place of origin but didn’t have a destination in mind. It was a totally emotional thing, there was no calculating it. Everything I made came from a particular lineage, there’s nothing fancy or novel about it, it’s all self referential. The last major innovation in brewing was 400 some odd years ago with the introduction of hops. . . we’ve had some technical advancements, but anybody who thinks they’re doing something completely new is nuts. It’s evolving, it’s derivative, I don’t think that’s a bad thing. The first beers that I made commercially available in Vermont were new to the people drinking them, they weren’t new to beer. How do you see the diversity in beer flavors today? In some ways its not diverse at all, and in other ways we’ve got a ton more choice than anybody can reasonably exercise. It’s at two different levels. [When I first visited Europe in the 1980’s] the market was consolidating, brewers were buying brewers and brands were disappearing every day. . . But there were still the traditional brewers, the small local brewers . . . in Dusseldorf they’d have Altbiers, in Baumberg Rauchbiers, in Bavaria they were brewing wheat beers. You didn’t have to go that far to find a completely different beer. Except each of the brewers were marketing their beers within a very short distance of their brewery. This notion that you’d have so many different beers [in one pub] like we do now was just considered ridiculous. If you went into a restaurant or brewpub in Germany at that time, you’d have a choice of a beer [type] or two. They had diversity, but not in a single pub. This is happening in food generally. When I was a kid, my family went into Hills Brothers where there were tomatoes from two old Italian men who supplied them with fresh tomatoes, that was it. When fresh tomatoes weren’t available you had canned tomatoes. Now I go into Shaw’s [regional supermarket chain] and there’s a bunch of different kinds of tomatoes, there’s the regular tomatoes, there’s the vine ripened tomatoes, the organic hydroponic tomato, grape tomatoes, and so on. The types of tomatoes Hills Brother carried might be gone, but there’s a variety of corporate tomatoes and more kinds of tomatoes than we had. There are more varieties in the store in a given time at a given place, but across the country there are fewer options overall. In the U.S. for beer it’s a little bit different because we had some local beers, and then coming out of the wreckage of Prohibition you had a concentration of a few beers doing well in a given market that then took over the nation. Then out of that, after everything had been imbalanced, a new wave of individual breweries cropped up. People’s interest has stayed on average about the same. That’s only on average. Light beers have grown a huge degree of market share. Huge. At the same time the number of beers with high strength, high flavor has expanded 20X. On average you remain the same, but with discreet points across the range [of big flavors]. Are there things you wish for that you can’t find on the market today? We have the greatest beer culture in the world, bar none.